1. 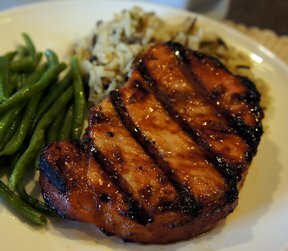 Trim the excess fat from the edges of the pork chops. Sprinkle them generously with salt and pepper. 3. Add only as many of the pork chops to the skillet , they should not touch each other. Cook them, turning them once, until through (no trace of pink remaining in the center) and deep golden brown, for about 12 minutes. Use a long-handled fork or tongs to prevent getting splattered. 4. 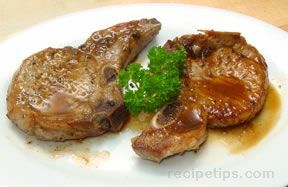 Remove the pork chops from the skillet to drain. Sprinkle them with paprika and serve hot.